First published in 1979. 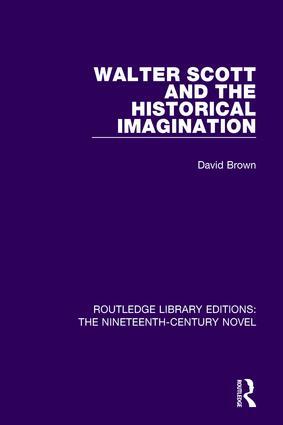 This study explores the main critical issues that arise out of a modern reading of Scott’s work, and treats the major novels in detail. It tackles the questions of Scott’s place in literary history and his problems in pioneering the historical novel. As well as examining the greater novels of the Scottish series, the author also deals with the relation between historical fiction and reality, with reference to the Waverley Novels, and Scott’s own attitude to history. Also discussed are some of the possible reasons for Scott’s failure to depict conflicts in his contemporary society. This book would be of interest to students of literature. This set of 42 volumes, originally published between 1965 and 2009, are authored by renowned international scholars in the field of nineteenth century literature. They explore a variety of authors such as Dickens, Hardy, Brontë, Austen, Gaskell, Zola, Meredith, Eliot, Gissing, Hawthorne, James and Wharton. The titles also examine a wide range of themes including gender, class, religion, politics, philosophy and music.